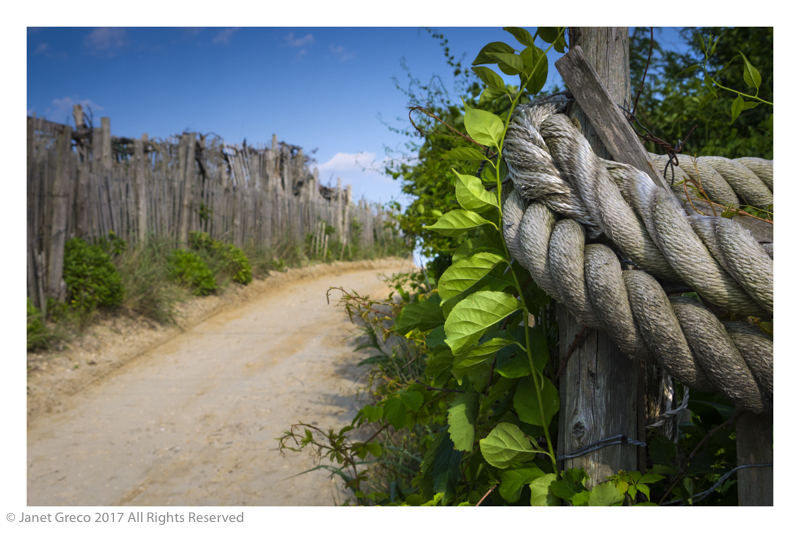 The full panorama of Cedar Dock Run Road in Manahawkin, by Janet Greco, installed at Atlanticare Health Park, Manahawkin, NJ, 2017. 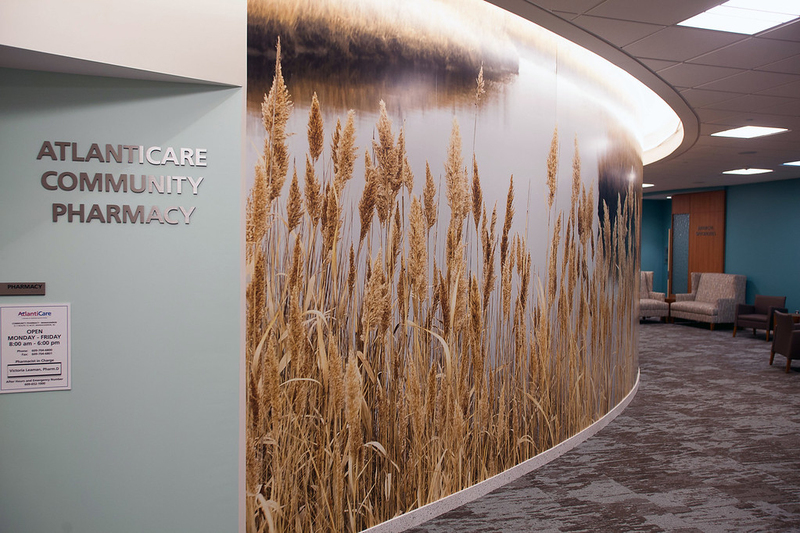 The nine-foot-high by 50-foot-wide photograph hangs on a curved wall across from a social gathering space outside physician office suites. I am pleased to announce that my artwork was selected for a public art commission. It was installed at the new Atlanticare Health Park in Manahawkin, New Jersey, which opened 28th June 2017. It is a great honor to be selected as this is a location very dear to my heart. Our family has a home nearby. The featured art is a 50 foot long (15m) mural of Cedar Dock Run Road in Manahawkin. It has been installed on a curved wall that is located in a waiting space that will receive a high volume of visitors. 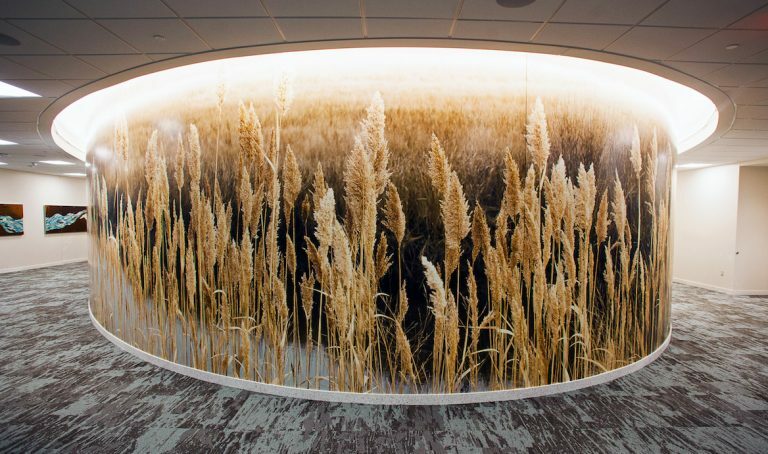 Cedar Dock Run Road, by Janet Greco, installation at the Atlanticare Health Park, Manahawkin, New Jersey, 2017. The new, 60,000-square-foot facility located at 517 Route 72 West, features more than 90 pieces of artwork from 41 artists. 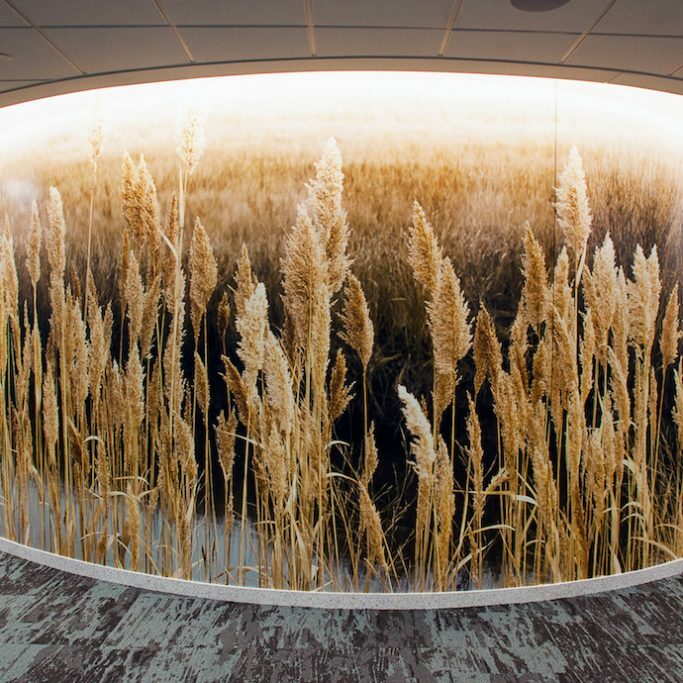 The artwork is funded through Atlanticare’s Healing Arts Program as part of Atlanticare’s commitment to including regional art in its facilities to create a peaceful, healing environment for patients, visitors and staff. The theme of the artwork is “healing through nature.” It includes two-dimensional and three-dimensional original pieces and prints. Oil, acrylic, and watercolor paintings; gicleé prints; mixed media art; photography; mosaics; ceramics; fabric art; collages; and sculptures are some of the many different art forms. The Cedar Dock Run Road mural is a stitched digital panorama process comprised of four images. The panoramas bring together, at once, several, not necessarily consecutive, moments. A deliberate collaboration with technology, waiting for the process to run on is akin to waiting for the black and white image in a darkroom tray to develop. It takes me back to my roots. The image also has a funny story. My brother-in-law Carl was the one who introduced me to the scenic stretch that is Cedar Dock Run Road. We left our family home on LBI to go crabbing there. We got eaten alive by greenhead flies, a particularly hungry-for-blood kind of beast. Aborted mission: a little excursion that went down in family history. I returned to shoot there on a misty day in 2006, alone in my van with my shih-tzu Elly May for company. The image has always been one of my favorites, because of the memories I have from that first time there. Our family has always had a deep connection to the Jersey Shore, and so to have public art commissions in both Atlanticare facilities (the one in Atlantic City, and now also in Manahawkin) makes me very proud and deepens all the emotional connections I feel when I think of home. A second photograph was also chosen by Atlanticare. Above, the beach entrance, for one of the patient rooms, shot in Surf City, New Jersey.